VEENENDAAL, the Netherlands – It’s not official, but it is said that there are three bidders selected by owner Macintosh Retail Group in the sale process for Halfords Nederland BV that started last September. Before the end of this year that sale process is to be concluded. The three bidders left are said to be two private equity firms as well as the Dutch Bicycle Group. 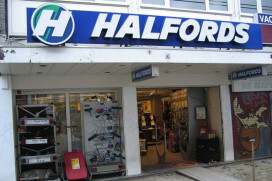 Halfords is a major player in the Dutch and Belgium markets. With its yearly sales of about 120,000 new bicycles (including e-bikes) through its 143 stores in the Netherlands and 7 in Belgium, Halfords has a market share of about 10% in the Dutch market. Union is Halfords’ main bike brand. The Dutch Bicycle Group is supplying the Union-branded bikes. The main supplier of P&A is Dutch importer Buzaglo BV. Halfords Nederland BV is operating completely separate from Halfords in the UK. In 2010 Halfords Nederland BV had a turnover of €105 million and an operating profit of €1 million. CDI Global, an Amsterdam based specialist in mergers, acquisitions, divestitures and joint ventures, assists Macintosh Retail Group in the sale process. The names of the two private equity firms said to be interested in Halfords NL are not disclosed. The Dutch Bicycle Group annual production is estimated between 200,000 and 250,000 bikes which are sold under the Union brandname as well as private labels.